Our company is instrumental in offering premium quality Graphite Heating Elements to our valuable customers. 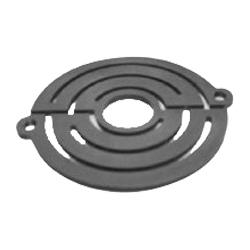 These heating elements are commonly used in vacuum heating and vacuum wafer annealing purposes. With the well-connected warehouse and packaging unit, we deliver these heating elements in bulk quantities with tamper proof packaging. Sunrise Enterprises (Mumbai), established in 2002, is an ISO 9001:2008 certified firm engaged in the business of the importing, manufacturing, trading, supplying, wholesaling, distributing, retailing and exporting a comprehensive gamut of Graphite Products. The products range offered by us comprises of Graphite Products, Industrial Graphite and Graphite Stopper Rods. Manufactured with due care using latest technology, the products offered by our company are of unparalleled quality. Acknowledged for their light weight, high tolerance and unmatched performance, these products are widely demanded across the globe. In addition, we are also one of the distinguished service providers, making available CNC Milling, and CNC Modelling & Design Services. Driven by our intense desire to serve the satisfaction of our esteemed patrons, we ensure the cost-effectiveness of the products offered by us. To ensure optimum quality, our professionals use quality-tested graphite in the manufacture of these products. Being a quality conscious organization, we have recruited a team of efficient quality controllers who have immense expertise in this domain. Our quality controllers stringently test these products on various parameters. Moreover, our products are delivered at the customers’ end in a safe and efficient manner. We import & export our products all over the world.